Looking for an easy-to-make, no-bake chocolate dessert? Karen shares a brilliant, simple chocolate cheesecake recipe, which features some posh, fun and downright naughty ingredients and will make a stunning centrepiece at any dinner party. This brilliant chocolate recipe showcases all that is best about chocolate. 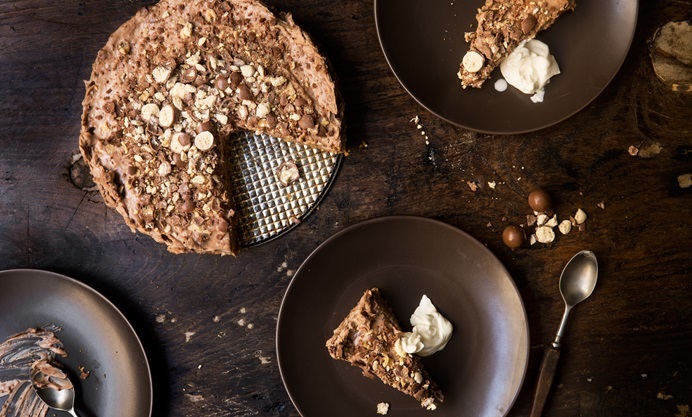 It is a no-bake cheesecake that uses high quality organic white chocolate, chocolate Maltesers – a childhood favourite – and the new kid on the chocolaty block: Cadbury's Philadelphia cream cheese. So we have posh, fun and downright naughty ingredients in a simple and easy-to-make dessert. 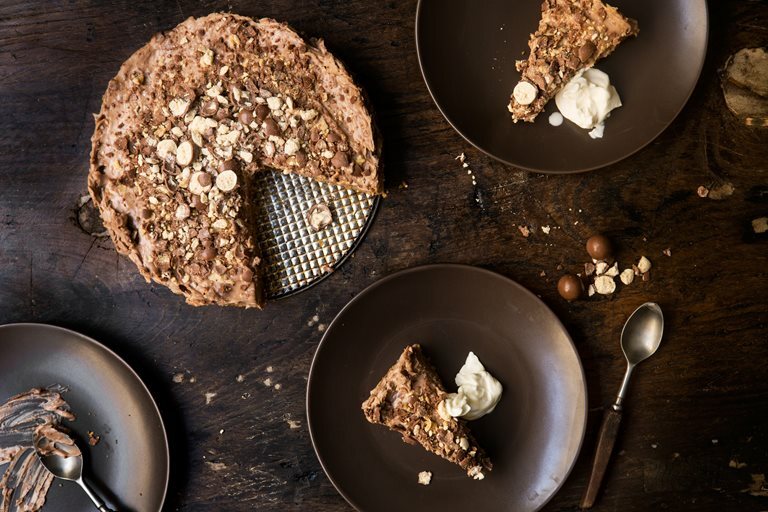 This Three chocolate no-bake Malteser cheesecake recipe is an adaptation of a dessert that I enjoyed at a friend’s house recently. I stupidly forgot to ask her for the recipe before I left, so I set about trying to replicate it myself this week. I think I’ve created a bit of a chocolate star with this recipe – it is easy to make (no baking is required), it sets nicely and tastes absolutely divine! This recipe makes enough to serve 8 to 12 people. It is very rich, and that makes it a fairly reasonably priced dessert to serve at a dinner party, with enough left over for the next day and an afternoon teatime treat. You need to make it about 12 hours before you plan to serve it, as it does need a few hours in the fridge to firm up, but that means it is all done and dusted well before, giving you time to prepare and cook other things. The recipe can be made into smaller, individual cheesecakes too, and will yield about 6 to 8 if you decide to make them this way. I may try to make this recipe in small glasses next time, so you can see the layers as you eat them!